Sat down with kniferights.org Chairman Doug Ritter at the Antique Arms Show in Las Vegas. Doug spends endless hours fighting for your right to carry all knives legally. Become a member today!! 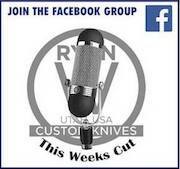 Episode 6: So you want to be a knife maker? !